On 23 January 2014 the Council of Europe Commissioner for Human Rights, Nils Muižnieks, published a comment entitled “Europe still haunted by antisemitism”. In it he expresses concern about the growth of antisemitism in Europe. “national political leaders should vigorously condemn antisemitic speech and attacks when they occur, sending a clear signal that such hatred is unacceptable and will be resolutely punished”. This is an important and timely message. Yesterday was International Holocaust Remembrance Day and the 69th anniversary of the liberation of the Auschwitz concentration camp. 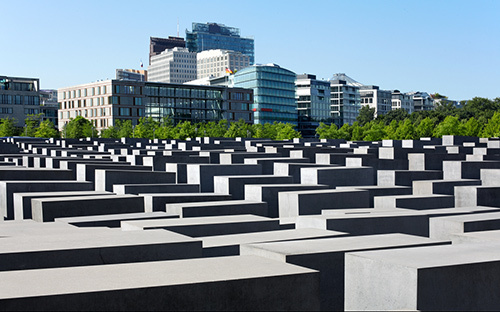 The political and ideological battle against antisemitism remains of crucial importance in the twenty first century. But even in the face of such an abhorrent doctrine, it is still necessary to consider freedom of expression. Unfortunately, the Commissioner’s exposition of the problem fails to deal with this important issue. The right to freedom of expression is not mentioned once in his document. As a result he does not address the need for and of importance of the careful balancing of rights which is particularly difficult in this area. To take just one example, the Commissioner refers to the EU Framework Decision 2008/913/JHA of 28 November 2008 “on combating certain forms and expressions of racism and xenophobia by means of criminal law” saying that national authorities “should prosecute and effectively sanction any political party or group which puts forward antisemitic arguments in its discourse and activities”. But he fails to mention that this decision includes a crucial condition for the prosecution of such offences: the likely incitement of violence or hatred. This is particularly relevant in relation to the issue of Holocaust denial. In its recent decision in Perinçek v. Switzerland, the Court of Human Rights underlined the importance of the right openly to discuss questions of a sensitive and controversial nature. What is properly punishable by the criminal law is not the denial or trivialisation of historical facts but the incitement of violence or hatred. Too restrictive an approach carries the risk of the criminal law encroaching on legitimate political or historical debates (see further the comment on this case on this blog). Another area of concern – and of immediate relevance in the light of the Dieudonné case in France – is the application of criminal laws on racial hatred to those who are deliberately seeking to shock to make political or social points. The criminalisation of writers, performers, comedians or cartoonists who deploy racial stereotypes or racist language is an dangerous path which needs to be trodden with great care. As Padraig Reidy argued recently, even if Dieudonné is a racist he has a right to free speech. Intentional incitement to hatred or violence is unacceptable even when done from the comedy stage but, in such cases, there should only be proportionate state action where there is demonstrable necessity. And the question remains as to whether banning performances and initiating criminal prosecutions against Holocaust denial and antisemitic performers are the most effective ways to combat antisemitism and hate speech. The balance between freedom of expression and the proper protection of the rights of minority or oppressed groups is a particularly difficult one to strike. But it is always important to bear in mind the fact that restrictions on freedom of expression must be necessary and proportionate to the aim of protecting the rights of others. Mere shock or offensiveness is not sufficient to criminalise speech where there is no incitement of violence or hatred. It is unfortunate that the Council of Europe Commissioner on Human Rights has discussed these issues without even mentioning the freedom of expression dimension. ~ Chapter 10, ‘Animal Farm,’ George Orwell. Given how anti-semitism is oft-used to stifle dissent from those opposing Israeli apartheid and impunity to rule of law in occupied historical Palestine, isn’t it also time to put anti-Palestinianism on par with anti-semitism, on the basis of the UN Charter, and, more simply, equality of opportunity for all? “Holocaust denial is anti-Semitic. But I’m not talking about World War II, Mahmoud Ahmedinijad, or Ashkenazi Jews. What I’m referring to is the holocaust we are all witnessing and responsible for in Gaza today and in Palestine over the last 60 years. By definition, a holocaust is a mass slaughter of people or a thorough destruction involving extensive loss of life, especially through fire. There isn’t a more accurate description of the hell that US-armed and –funded Israeli Occupation Forces are unleashing on the people of Gaza at this moment. Dr Wasfi is right in what he says. Indeed, it is Zionism which is antisemitic, bearing in mind that semitism refers to a group of African/Asian languages, included in which are Arabic and Hebrew. It is a clear indicator of power that Holocaust Day is universally promoted but Nakba Day (May 15) is unknown. What does that tell us about the relative powers of the Zionists and the much weaker influence on international opinion of the oppressed Palestinians? Maybe it just means that most people in the world don’t agree with the “nakba” narrative and rather agree that the foundation of a state after a corresponding vote in the UN is no “catastrophe”, but rather the most legitimate way a state can come into existence? Palestinians who remained in Israel, against the wishes of their and other Arab leaders, are quite happy that they did so. Palestinians in Israel have a much better (although admittedly not perfect) life than Palestinians in all Arab countries. Facts please NOT propaganda or chicanery. Like, the fact is, Bibi DeKlerk’s quite worried now, boo-hoo!! I assume your expertise is based on the fact that you yourself are a Palestinian Israeli? Otherwise, how else can you make comments for them? Israel was not founded by the UN but came into existence after a brutal campaign of massive ethnic cleansing of Palestinians by the Haganah, Irgun, Stern Gang and other associated terrorist thugs, following which the arch-terrorist Gurion (or whatever his original name was) issued a Unilateral Declaration of Independence, as did Ian Smith when he announced the coming into existence of the equally racist Rhodesian regime. 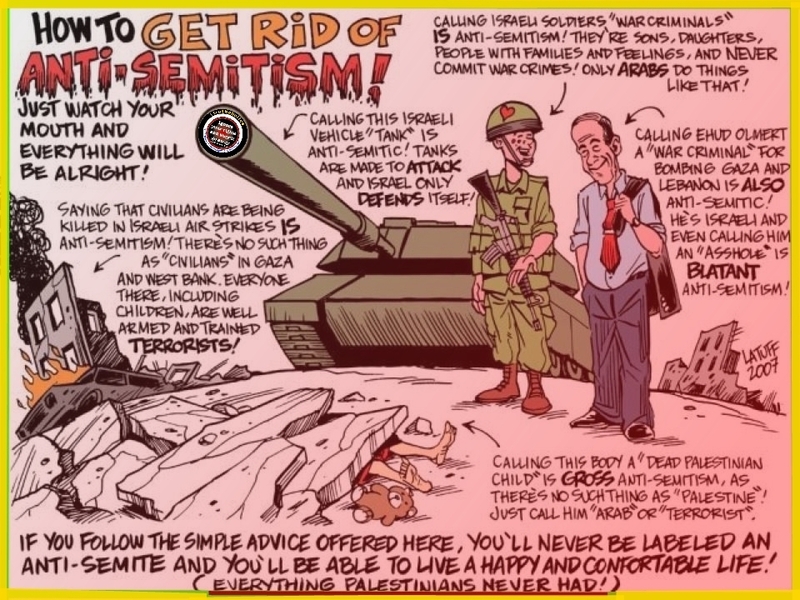 You need to clear your head of hasbara propaganda; otherwise, you and other ordinary Israelis will never know security or peace for anyone living in the racist Zionist state. Oh, I am ONLY allowed to make comments on people, whose race, ethnicity, religion I share? Well, then I’ll quietly go back into my little village… (where you seem to be intellectually stuck already). Andreas: That’s OK. You can go back and join all the other thieving settlers and lying hasbarists in your comfortable village. Was it not Karl Marx who once remarked on the idiocy of rural life? You must feel right at home there. * Hey Admin – why is my reply trapped in moderation? Relentless ethnic-cleansing by rendering indigenous peoples human rights invisible is not kosher. As two wrongs don’t make a right, surely you’d be the first to AVOID denying the current and ongoing extermination of the Palestinians?